The company seeks to raise as much as US$100 million, according to a regulatory filing on Thursday, though the amount is subject to change. Fitbit plans to list its stock on the New York Stock Exchange under the symbol "FIT." The filing reveals what seems to be a healthy business. The company sold roughly 10.9 million devices in 2014, more than double what it sold in 2013 and more than eight times as many as it sold in 2012. Fitbit also more than doubled its revenue between 2013 and 2014, to more than $745 million. Sales in 2012 were about $76 million. The company posted net income of nearly $132 million in 2014, up from a loss of roughly $52 million the year before. Meanwhile, the company's paid active users grew from 2.6 million in 2013 to 6.7 million in 2014. Fitbit, founded in 2007, makes a number of activity-measuring bracelets and trackers that can be synced with an online dashboard and mobile apps. The company also provides premium services like virtual coaching and customized fitness plans. 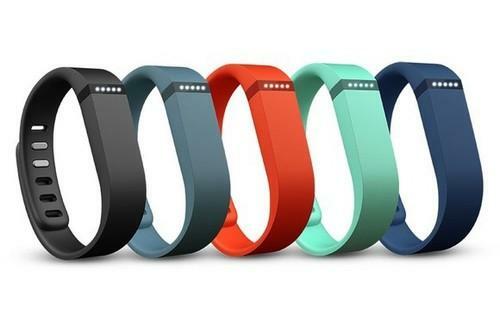 Fitbit faces tough competition from rivals like Jawbone and Garmin, as well as the Apple Watch. Last year, Fitbit recalled its Force band after customers complained of it giving them rashes. The incident doesn't appear to have put a huge dent in the company's sales. Fitbit's other devices include Aria, a WiFi-connected scale, and the One, a clippable tracker.